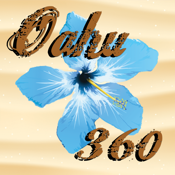 Oahu 360 HD is the first iPad app of its kind for the Island of Oahu. This app allows you to visit Oahu Beaches and Points of Interest via our Panoramic 360 degree photos. The photos also will work in conjunction with your iPad's Gyroscope to enhance the user experience. For those who are into hiking you can experience some of the hiking trails via virtual tour video. The app includes information, photos and directions to Beaches, Equipment Rentals, Surf Shops, Hiking Trails, Luaus, Unique Tours, Helicopter Tours, ATV Tours, Sightseeing Tours, Snorkeling Adventures, Ziplining, Nightlife, Hotels, Condos, Dining and Points of Interest. This is the perfect app for those who have come to love Oahu. Use the in App Camera Feature to snap shots and send them to the developer to be posted in the Photo Gallery.